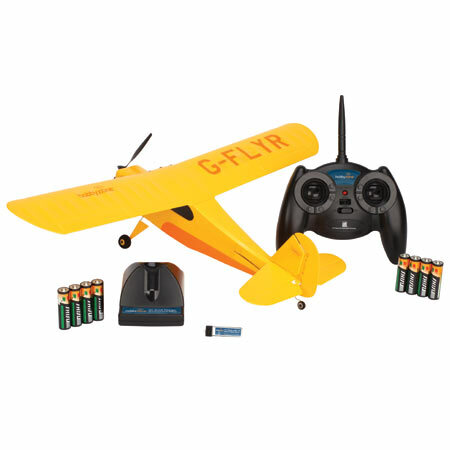 The Hobbyzone Champ is a beginner RC plane that is intended to fly without skilled help. This is not a toy but a true hobby grade model that you can fly! no ailerons on the Hobbyzone Champ, for the sake of simplicity. 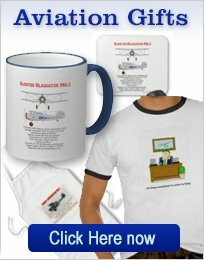 Control is furnished for rudder, elevator and throttle. When learning to fly, this is more than enough control. 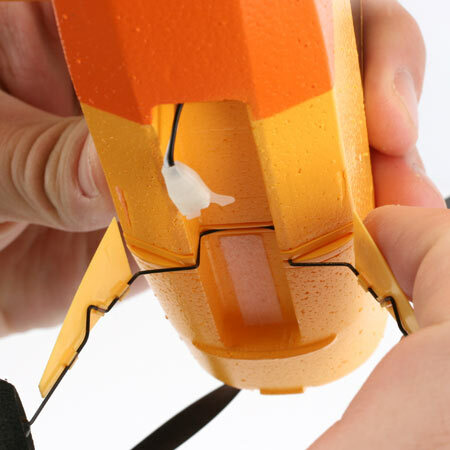 The model can take off from a smooth surface but can also be easily hand launched. 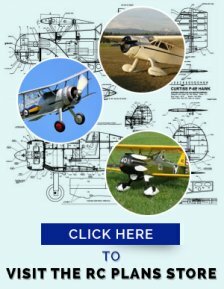 The steerable tail wheel is very useful for keeping the model faced into the wind and it is a good idea to steer the model on the ground, before attempting that first flight. If a parking area or similar is available, then keep the throttle as low as possible and hold in a little "up" elevator, to keep the tail on the ground and steer the Hobbyzone Champ around, like a car. this will get you used to the ground handling. This photo shows the rudder and elevator, close-up. 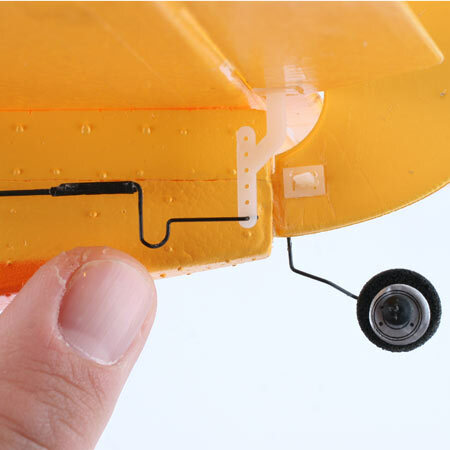 The steerable tail wheel can also be seen. The elevator pushrod can just be glimpsed, under the tail plane leading edge. Note also that the push rod is connected to the last hole, in the horn. this is the recommended position. Here we see the other end of the push rods. The two servos can be seen, mounted to the PC board. This photo shows the landing gear, pushed into the plastic lined slot. The battery is mounted in the recommended position. It can be moved back, a little, to ensure the Hobbyzone Champ balances at the correct position. It is attached by a strip of Velcro. 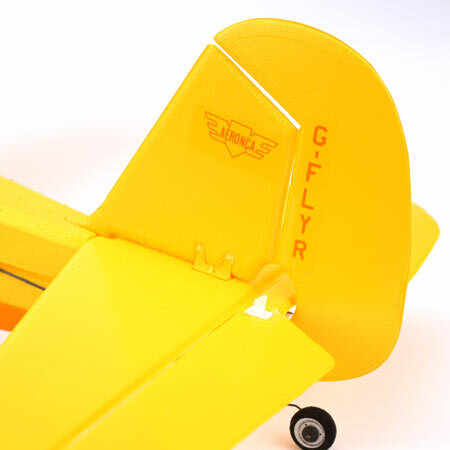 The balance point should be 28mm back from the wing leading edge. So make sure the battery is placed all the way forward, as shown. Here we see a number of interesting points. note that the landing gear has not been pushed all the way into the fuselage slot. We can also see the Velcro strip, for battery mounting. Please check after each landing that the battery is still in position! I am sure that if the landing is on the rough side, then the battery will move! Hobbyzone includes extra Velcro tape, for mounting of an extra battery. 3-channel RC transmitter. 2.4GHz frequency. Interference free and no waiting for a free frequency! Dry cells for the transmitter. Dry cells for the charger. The only extra item you could consider buying is a second battery. 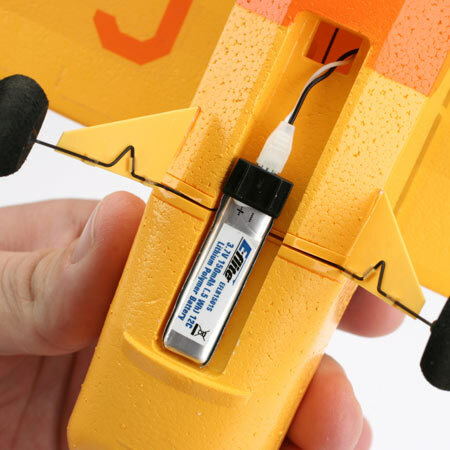 This would ensure you have a battery ready to go when you land, thus not having to wait for a battery re-charge. Otherwise everything else required is in the box! It should also be mentioned that the box should be used to store and carry the Champ to and from the flying field. With such a light airplane, more damage can be done to the airframe, during storage and transportation! The box even comes with a convenient handle. This first video has some nice flying shots and shows the Champ taking-off from a picnic table! The wing is attached to the fuselage with double sided tape. When the wing needs replacing, this video will be very helpful. Note that a wide range of spare parts are available, so you can keep the Champ flying! Very easy to fly. If you get disoriented or too far downwind, just reduce the throttle, all the way back and let go of the sticks. As long as the wind is very low ( Do not fly in high winds!) the Champ should glide to a safe landing. Low price and everything is included. 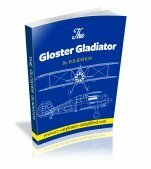 Intended for the lone beginner-learn to fly without skilled help! Low weight means damage resistant. Latest 2.4GHz radio system, means no interference or waiting for the frequency pin! It is possible to loose the battery, on a hard landing-Check after every landing! Only fly in a dead calm. 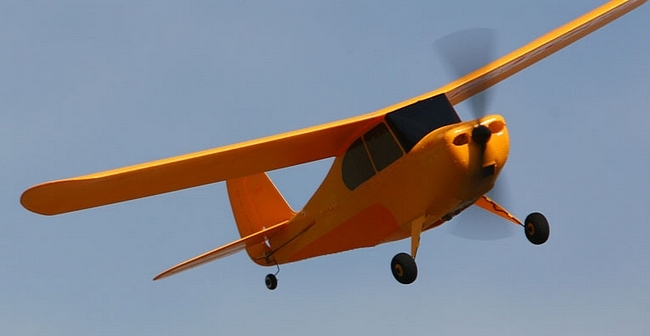 High winds are a real problem for this small airplane. Every review I read was 100% positive with no negative remarks! Both experienced flyers and beginners found that the Hobbyzone Champ was a ton of fun! Remember that this is a true hobby grade airplane and is not a toy. It can teach you to fly and is appreciated by all who fly it. Radio supplied: 3-channel 2.4GHz with Spektrum DSM 2. Battery supplied: 3.7V 1S 150 mAh LiPo. Approx. Flying Time: 5-8 minutes.